Our Annual Pinewood Derby will be held on January 21 from noon to 3 PM in the MPR! There will be racing, design competitions, and pizzas. Please be conservation minded and bring your own reusable bottle. Fresh filtered water will be available from the refillable station in the MPR. We will once again have an open class for adults and siblings. Additional kits may be purchased for $5. Contact Jessica Almeida (jeijeica@yahoo.com) to purchase more kits. Wear your Class A uniform! The mandatory inspection and car impounding is on January 20 from 10:00 AM to 1:00 PM at the Pack Shed near the Coyote Creek Kindergarten area. 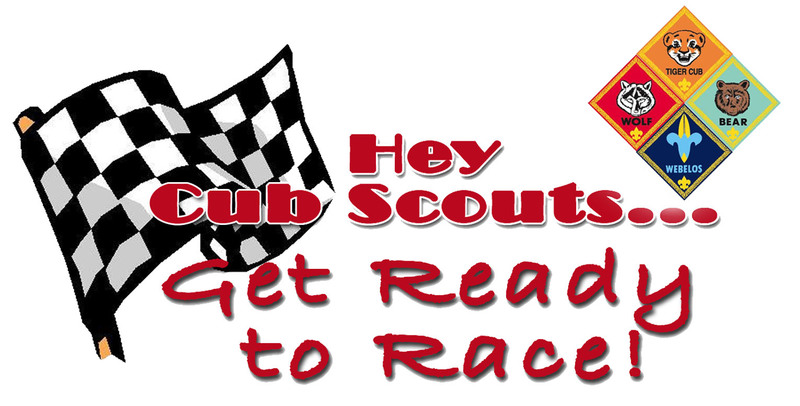 Even though Pinewood Derby car is a team project for scouts and their adults, we encourage scouts to do as much of the car building as possible. 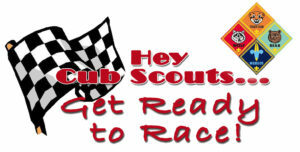 For those new to scouting or just need a refresher course, here are some helpful websites. If you need help cutting the wood block, you could take it to Ace Hardware. The store staff may charge each car $5. You can also use their equipment to sand, align the wheels, and fine-tune various details. Each car must pass inspection on January 20 by the official inspection committee before it will be allowed to compete. Once a car passes inspection and is entered into the race, only the race committee members can touch it. If the car loses a wheel, or is otherwise damaged, the racer has 5 minutes to make repairs. Rules will be emailed to you in a separate email OR can be found here. Weight shall not exceed 5 ounces. Axles, wheels, and body shall be from the materials provided in the kit. Additional wheels can be purchased separately. The car must be free-wheeling with no starting devices.